This post was originally posted on January 22, 2012. Today, after editing and re-working it, I'm submitting it to Yeah Write. Be sure to check out the grid filled with other great blogs. It’s happened more than once and I’m positive I’m not the only doctor’s wife whose evening plans have been abruptly thwarted by the archaic, high pitched beep of a hospital pager. We decided to dine out; a semi-date night. These dinners are not a ‘real’ date night, because we know we may have to flag down the poor wait staff to ask for our dinner to go. A movie is completely out of the question, regardless of how quiet the night seems. We tried a movie once. We ran straight through the lobby, across the parking lot and straight for the car. Sometimes, the beep can be satisfied with a phone call; some lengthy in duration, some short and sweet. Other times, we’re allowed to finish our main course, but don’t think of ordering another glass of wine (that’s me, not Doc H) or a dessert, ‘cause he's got to go! Normally, when the beep brings our life to a unexpected halt, it is an irritation which brings a bout of frustration. Normally, a cognisant round of ‘let’s focus on the positives’ as our car comes to a rolling stop at our driveway as I jump out. However, it is when another hospital, where Doc H has privileges, beeps for back-up that leaves me unguarded and ill-prepared. So much so, that one dark night, I found myself sitting outside the main entrance of a hospital as Doc H was inside one of the ORs working on a poor chap. I had already been there over an hour and it was going to be a long wait. While waiting in the hospital lobby, waiting for Doc H, I took to people watching for awhile. I looked at them and they looked at me. Dressed up in my best date night clothes (you know, the ones that make you look skinnier than you really are, the bra that hoists the girls up and around your neck like a choker, and the shoes that make you look as tall as you possibly can look without falling over), I must have looked like a pitiful case, cause I began to feel uncomfortable and desperate for a way home. Oh, why didn't we drive two cars?! My wallet didn’t hold enough cash for a cab ride and I wouldn’t dream of paying that much in fare anyway. I grabbed my phone and updated my status. I didn’t expect anything. I threw my phone back in my purse. In less time than it takes to say ‘ruptured abdominal aortic anuerysm’ my phone rang and I had a ride on the way! It takes a village, and boy, FB really can bring us together, can't it? Love when it's put to good use! I love that line: "You saved my beep!" Thank you! I'm bigger on Twitter nowadays, but Facebook was my first love! Found your site thru Blog Hop. Following thru GFC #246. Oh, Jeez you have no idea. We almost had to cancel our wedding because of the beeper. That's another post I've been wanting to write, but that story takes too much out of me. Even now, just thinking about it makes my blood pressure sky-rocket. Yuck. Facebook: It's like a magic taxi! Facebook really is a wonder, isn't it? We had a ridiculous storm here yesterday and along with most street lights, our internet and cable stopped working. It was terrible! Haha. It's so hard to live without something so helpful and entertaining. I'm glad that you were able to be rescued while Doc was doing some rescuing of his own. I'm also glad that you give us a different perspective to what life is like for a Doctor. Thanks for that! Thanks for reading and your comment, Dawn! I can't live without my social networks. Seriously... it's a problem. Thanks for linking up at the GFC Blog Hop today! Hope you have a great week! Facebook has saved me a couple of times, too -- usually when I suddenly need a babysitter or something. Glad it worked out for you! Isn't it wonderful when it saves us from impending doom? 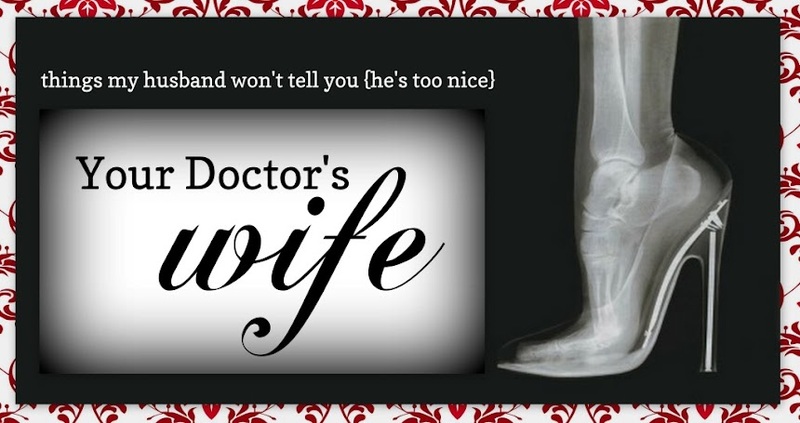 YOu know what, I have never heard a doctor's spouse ever talk about this frustration. It makes perfect sense and I never realized it. I love how you used social media to get home. You are a very resourceful mama! Thanks, Christie! Desperate times call for desperate measures. I was beyond bored! for all the annoyances that are FaceBook at least there is a positive. Glad you got a ride home. You are so right, Robbie!! FB can be annoying and frustrating. It's a mixed blessing! Great post! I liked the way you used the pager references throughout and in the last line to tie it all together! I love FB -- it's a free service! -- and get tired of all the complaints about it. Glad you found a ride and didn't fall over in your shoes like I would have! I think that beeper probably triggers a Pavlovian response now. Got that one already covered. I wrote about that too... "Pavlov, Toddlers, and Goodbyes". Luckily, I've always been a fast eater. So interesting to hear your perspective. Thankful for all the wonderful doctors out there and their families who support them!! Love that facebook saved you. Facebook can indeed be a life saver! Great post. I'm glad someone came to pick you up, I hope your subsequent dates went a little better! It's always a hit and miss when we leave the house and he's on call. I've learned to always have a plan B. My husband is a charter pilot so I totally get the on call thing. And the work on holidays and weekends. And the total unpredictable schedule, which for a type A like is TORTURE. Ugh.. don't get me started on holidays!!! I used to be a nanny for an OB/GYN and I can't tell you how many outings we tried when she was on call, only to have to drop her off at the hospital, so I could take the kids home. But yet, we kept trying! I've pretty much given up trying. I have very low expectations. It takes the pressure off. What a glorious burst of unexpected humor at the end. My grandfather hated living by the law of the phone service. (I vaguely recall when I was a kid calling his house and explaining to the answering service that we were just family, there was no need to take a message, and we'd call back later.) He refused to get an answering machine after he retired, so much did he want his life back. "They'll call me when I'm home" was his philosophy. And you know what? We all did. Thank you! You should see the looks on my kids faces when I remind them we didn't have answering machines when I was young. They don't under stand how we were able to live without current day technologies! The image of you waiting, all dolled-up, was very sad. I'm on-call all the time and I have to change the ringer on my phone periodically or I start hating the sound. Now I have a special ringer for the hospital that is ducks quacking. Who can hate ducks? Thank you! 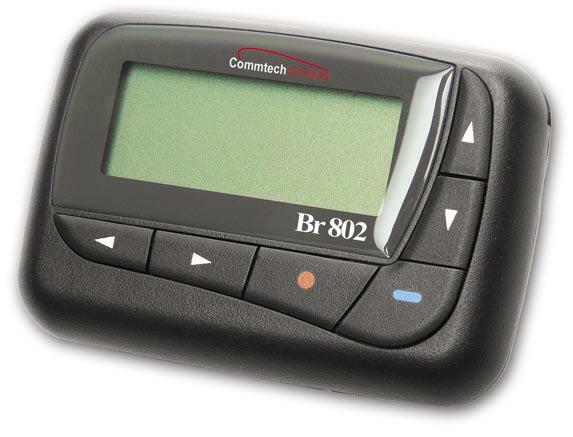 I wish Doc H could change the sound of his beeper, but no. He needs the loudest, most obnoxious one, so he can hear it not matter where he is, or where it is. A little ducky would be nice! I love that Facebook saved you from the menace of the beeper. Gawd, I hate the thing! I can imagine that with every beep, the sound gets even more irritating! Imagine if you had used Twitter--You'd have probably gotten a response faster than you could say "ruptured!" Ha! I didn't have twitter at the time, but I bet if I did, you'd be right! Double edge sword! Especially, when yelling, "No texting at the table!" GRRRR. Hey, it doesn't hurt to ask, right? With the onslaught of "smart" phones, it made getting the word out and SEEN much quicker and lucky for the rapid response. Something for us all to remember! Genius! And oh, so resourceful! Well done. Haha, so great! Well told, from your perspective. You do a lovely job of relaying the inevitable frustration without any venom. It simply is. And the kicker - FB saving your beep. Loved it! Thank you!! I can't spew any venom at Doc H...he works so damn hard for us and his patients. I could never do what he does. It's too physically and emotionally demanding. I can't imagine what its like living life by the 'beep'. I found your blog from the gfc hop and am following. Majority of my cousins followed in their parents’ medical steps and are also doctors, so I know exactly how you feel. I miss them, but I also have a lot of respect for them because they have to be available at all times. Those pagers are really useful, and sometimes they get the message through quicker than with cellphones. Found you through the blog hop and boy am I glad I did. Love your blog!!! I hope you will be able to follow mine too :) Thank you for all the great posts!